Günter Oesterle is well-known for his ability to combine ideas and methods from diverse disciplines to create new avenues for research not only in his core field of German literature, but also in the broader field of historical cultural studies. For example, he has been spokesman of the renowned collaborative research center "Memory Cultures". 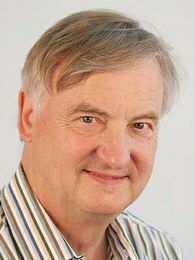 Oesterle held numerous fellowships and guest professorships at excellent universities and research institutes, among them FRIAS in Freiburg, the IFK in Vienna, Columbia University in New York and most recently Beihang University in Beijing.